There’s no shortage of discussion around the decline of sharing on social media. But it’s not that users are sharing less, they’re sharing differently. Social media feeds have become crowded with content to consume, and privacy is on consumer radars more than ever. Both of these factors are contributing to the shift of personal conversations off public feeds and into private spaces. 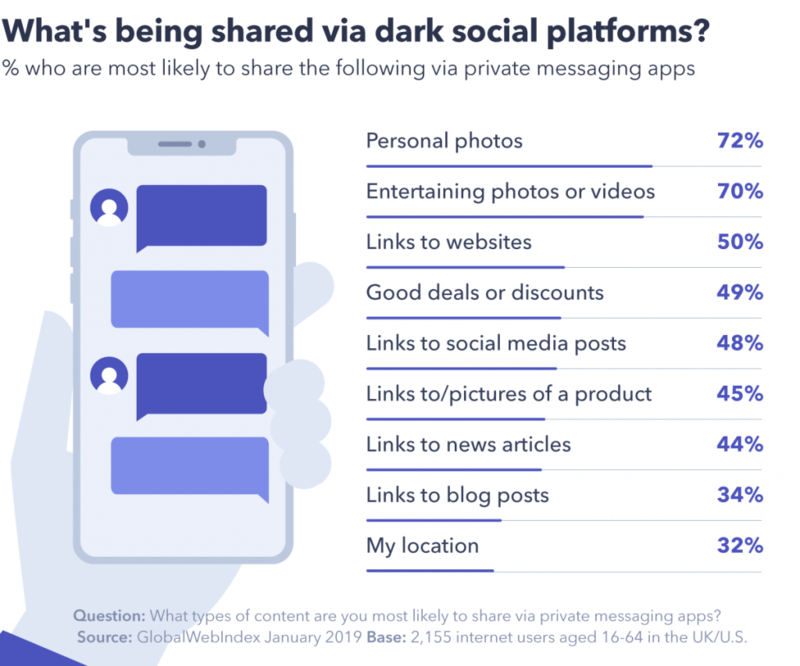 These spaces − private messaging apps, SMS or emails − are often branded by marketers as “dark social”, where content shared is less accurately tracked. But exactly how big is the opportunity here, and how can brands harness these private but potentially profitable conversations? We asked UK and U.S. internet users about their private sharing behaviors to find out. Consumers are more likely to share on dark social. When consumers have something to share, they’re more likely to head to dark social channels to do so (63%) rather than open social media platforms (54%). What’s even more revealing is that around 20% share only via these channels, with WhatsApp and Facebook Messenger the go-to services. With this in mind, the true reach of any digital campaign will likely be underreported – in some way, at least. This is presenting many challenges for brands − especially when it comes to accurately tracking ROI − but there’s a clear opportunity here for marketers to use this organic word-of-mouth online to spread their message. 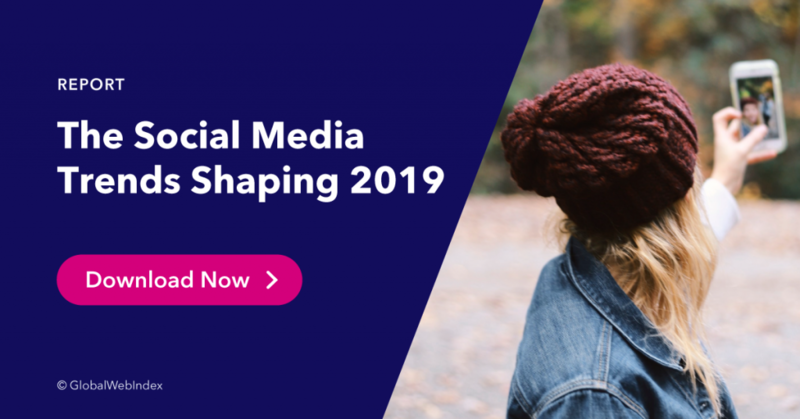 As a result of this shift, brands may need to shake-up their social media strategies, many of which might be outdated. WhatsApp Business and Messenger’s chatbots are industry initiatives built to monetize these dark social platforms, and other big names are already leveraging the space. Adidas was one of the first to make a move with its Tango Squad campaign which used Facebook Messenger to connect young footballers and build a squad of brand advocates. Meanwhile, Starbucks is exploring the use of groups in these spaces for deeper interactions with consumers about product development. The dark social space offers a more natural communication channel to target consumers. And most of those we questioned agreed they feel more comfortable “being themselves” when sharing privately, compared to sharing publicly to a feed of followers, reiterating this point. Recommendations are plentiful on private messaging. 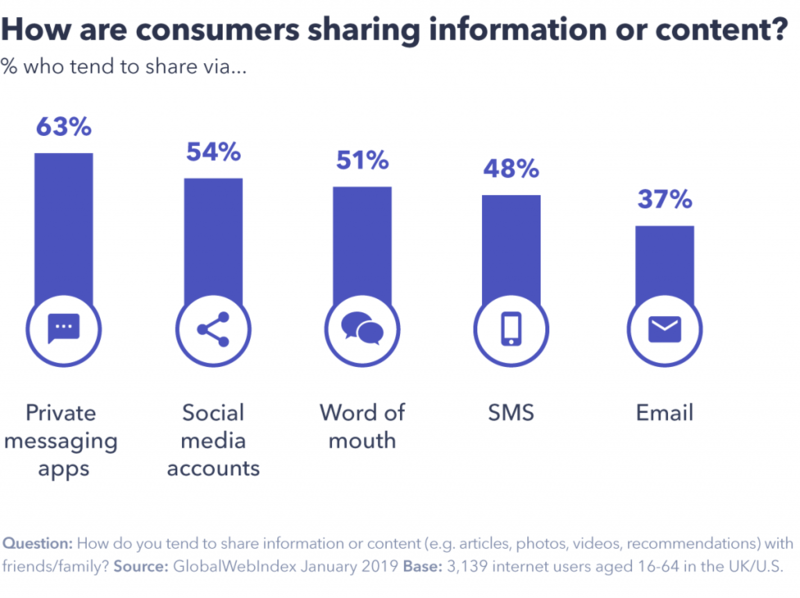 When it comes to what consumers are most likely to be sharing on private messaging apps, personal photos, like holiday snaps, top the list, along with other entertaining content. Links to websites to recommend products or brands score high too, being shared by one in two. This is bad and good news for brands. Bad: many website visitors will be coming from untraceable sources. Good: you likely have more brand advocates than you think. The travel industry comes out on top. In terms of the categories of content being shared on these dark channels, entertainment leads the way, followed by games and clothing. 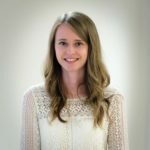 Content relating to travel is being shared by many too, and this is an industry that’s particularly impacted: there’s a hive of discussion involved when planning holidays or trips with others, and a lot of this will be happening within the walls of dark social. As many as 6 in 10 are sharing content as inspiration for places to visit. Of those who explicitly say they’ve been planning or discussing holiday plans, many are comfortable clicking-through links − and over half go on to make a payment. These bookings are most likely to be activities and transport (flights, trains, boats), with places to stay coming down lower in the list. 25-44-year-olds are among those most likely to be making purchases; the younger half of this group are ahead for making bookings with greater financial outlay, like accommodation, while the older half is more likely to be arranging transport. What’s clear here is that a good chunk of chat on dark social is done so with the intent of purchasing something in that moment. Sharing happens throughout the consumer journey − planning, discussing and purchasing − and there are plenty of opportunities for travel companies to have an influence. Dark social isn’t going anywhere; consumers are always going to have a preference for sharing with friends and family privately. And while it does bring challenges for brands across industries, there are things they can do. Interacting directly with consumers in these spaces is one approach. Creating more relevant, shareable content that encourages sharing with friends and family in these private environments is another. What’s essential in both these cases is that the privacy of consumers is respected, above all.